The Avianca Vida Visa Card currently has an Informr score of 7.6 out of 10. This score is based on our evaluation of 3 sources including reviews from users and the web's most trusted critics. 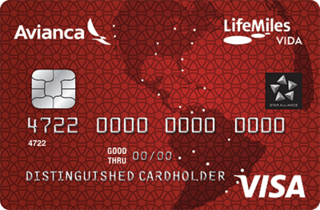 Avianca Vida Visa Card is typically available to those with good credit scores (650 or greater). If you often fly with Avianca, the Avianca Vida Visa Card could be a solid choice. You get to earn a generous signup bonus by making your first purchase, plus you can earn miles on all of your purchases. With a relatively low earning rate and some annoying restrictions on redemptions, most travelers can do better. So, unless you’re a loyal Avianca customer, my final say would be that this card is only worth getting for the sign-up bonus. The bonus offer is easy to obtain too because all it requires if for you to make a purchase using the card — people tend to struggle on some sign-up bonus offers because they require a minimum spending amount.